This event has passed (October 26 2018). 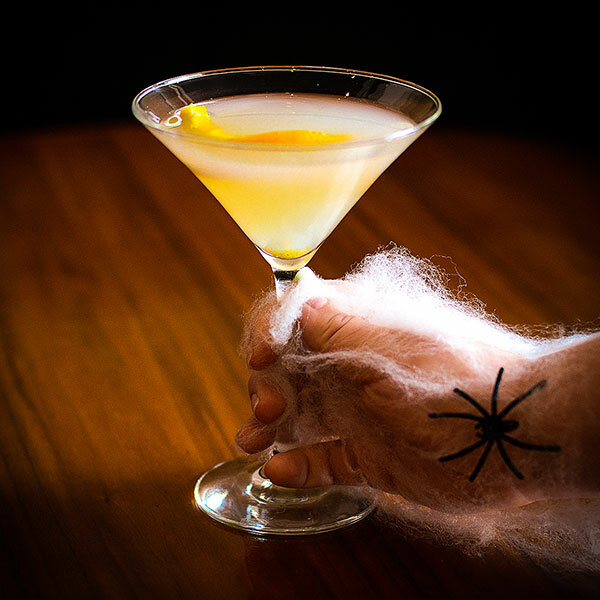 Come for the Boos but stay for the booze at DLUX’s Halloween party! Doors to this killer party will open at 9pm. Not for the faint heart. Ghouls, creatures, and all monsters are welcome. Grab a one of our signature cocktails from our premium open bar, which is offered 9:30pm-2am. Premium open bar includes: All draft beers; white, red and sparkling wine; DLUX signature kegged cocktails; all cocktails made with Tito’s Handmade Vodka, Hendrick's Gin, Jim Beam Bourbon, Milagro Tequila, Sailor Jerry Rum, Monkey Shoulder Scotch, Raynal Brandy, and Tullamore Dew Irish Whiskey. Shots and additional liquors not listed are not included in the ticket price, but will be available for purchase. Dress to impress for chances to win killer prizes. Post a picture of your costume on Instagram or Facebook. Winners will be picked based on likes and comments. And one winner will get the coveted Skoscar! The highest honor for of the undead. All ticket purchases are final; NO REFUNDS WILL BE GIVEN. DLUX reserves the right to refuse service and not refund ticket price to any guest that is underage, unable to produce proper identification, or appears to be intoxicated.